While riding through Kent, Connecticut I spotted a murder of crows perched on a rail. They’re bronze sculptures by the artist Peter Woytuk. Aren’t they lovely? While I was standing there taking pictures, a guy on a scooter came whipping up into the grass by me and we chatted for a few minutes. He seemed happy-go-lucky. Some people are infectious with their smile, their joy. 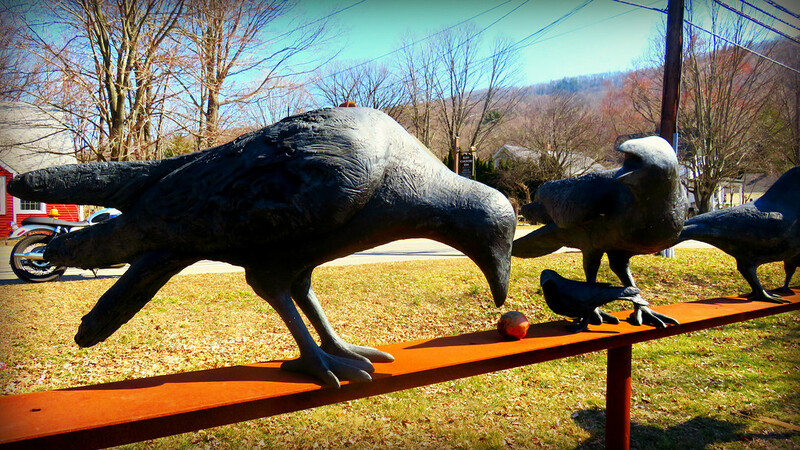 He was like that – glad to be alive and talking to some stranger staring a big bronze crows. 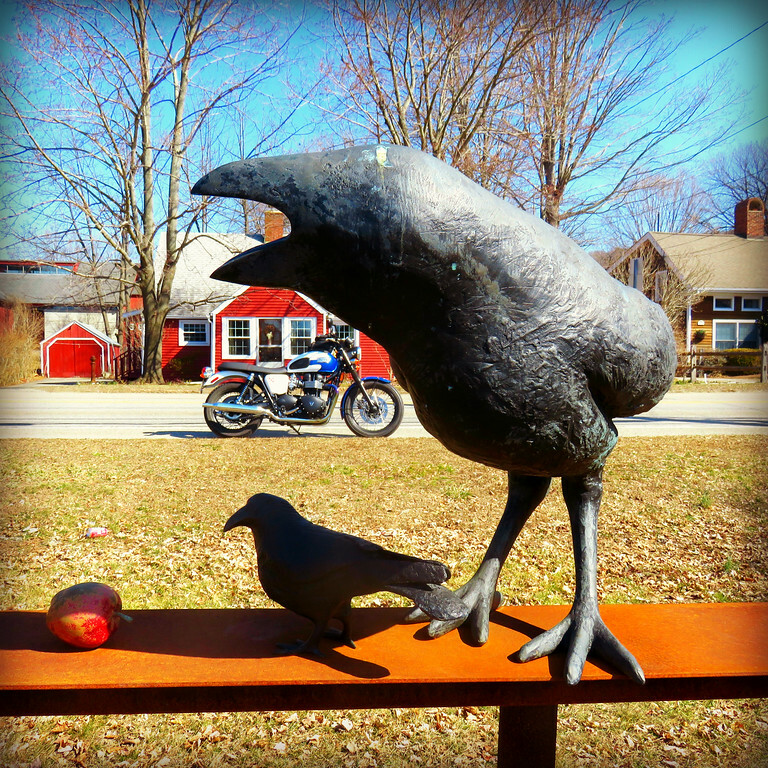 I’m not especially fond of birds but strangely enough, I don’t mind crows. They seem like jokers – always laughing. It’s said that they’re incredibly intelligent, use tools, and can even remember people’s faces. Pretty amazing, huh? No doubt, I will be amazed the next time I see a crow using a screwdriver. Teach one to fix your bike on the trail! Corvids (crows, scrub jays, nutcrackers, and magpies, among many others) are highly social, playful, and intelligent birds—scary smart. What, and confirm my neighbors’ suspicions? They’ll send me to the…(wait for it)…NUTHOUSE! Now, everybody yell: “NUTHOUSE” is Pee-wee’s word of the day.